Ha! It looked like another 2-week gap, but we’re not quite that late, thankfully. Mageia will be present with a stand in at RMLL in Strasbourg, but we have very few volunteers who have put their names down for the stand: https://framadate.org/dbLxWJPnci6o6aqb If you’re going to be there, please go to that signup page and let us know – RMLL starts this coming Saturday, so we need you urgently! Thanks once again to Zalappy for the design, and apb for all the work to make it happen. Don’t forget, you can check Mageia Advisories, the Mageia AppDB, and PkgSubmit to see the last 48 hours, and Bugzilla to see what’s currently happening. Thanks also for all the nice comments on the last post! This entry was posted in Atelier, events, Updates, Weekly roundup. Bookmark the permalink. Thanks for keeping us updated!!! 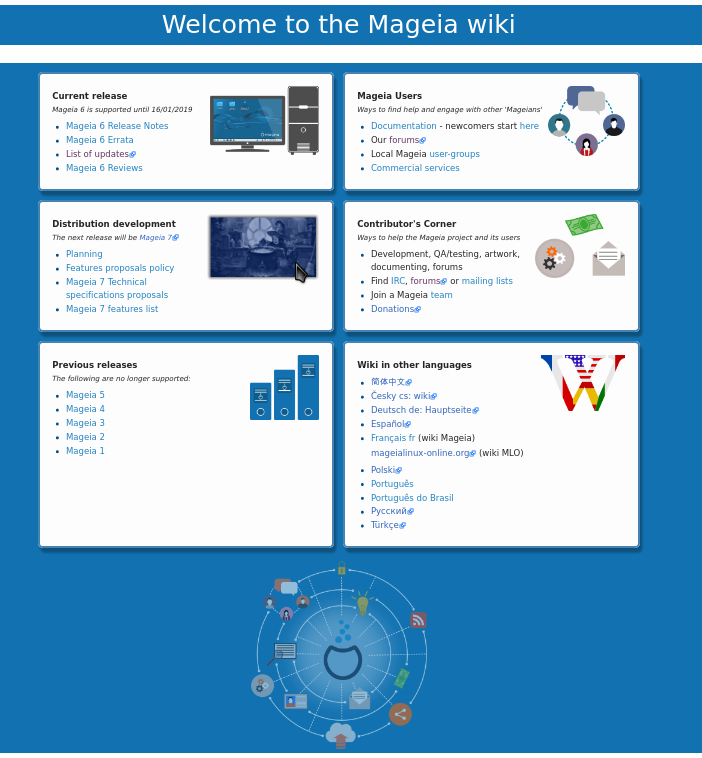 Nice, that new Mageia Wiki front page! Came here just to comment how awesome the new wiki looks. Great work!